So Shay: Wordless Wednesday % Flashback to the 80's. Wordless Wednesday % Flashback to the 80's. ShareWordless Wednesday % Flashback to the 80's. Love it! 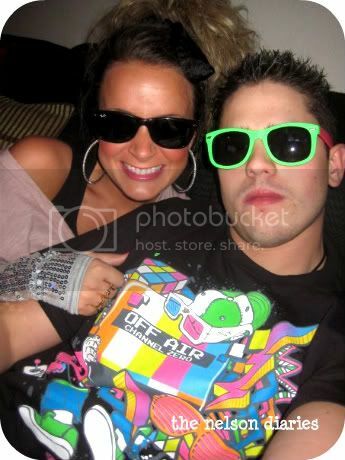 Especially the neon green sunglasses! Hahah oh Neon. I wonder if that's going to make a comeback? How cute! you are so pretty and I love 80s!